You might think cultural training is only useful for people and businesses that are associated with global business - for example, international sales teams or global managers. You would be wrong! Raising cultural awareness is useful for everyone and anyone and has also proven to be very useful for companies in the packaging industry. According to Jim Butschli, Features Editor at the website Packaging World, it is very important for the healthcare industry to have knowhow about global business communication. 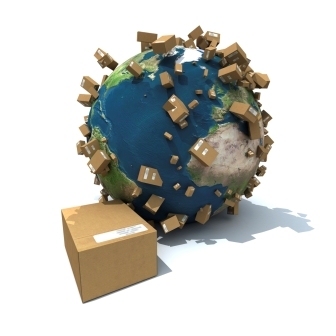 Medical devices, medicines and the like often have to be produced, packaged and shipped all across the globe. Nowadays, because of all the modern means of communication we have, communication in this supply chain is very easy. However, companies in the chain should be aware of cultural differences. Thus, the company offers its employees classes that give insight into foreign cultures to come to grips with these challenges. At the event, two employees of Bosch Packaging Technologies, Tanja Riegel and Thomas Mauritzen, shared their cross-cultural experiences. Thomas Mauritzen is a business development manager for Bosch Packaging Technology in North America. After he finished his studies, he got the opportunity to get involved in a three year international development programme at the company. For this programme, he had to spend one year in his homeland, the US, and two in Germany. Although he was a little scared to move to a country with a different culture, he loved to travel and saw the programme as a big opportunity. Mauritzen believes the intercultural training really helped him to adapt to working and living in Germany. Bosch packaging technology does not only offer cross cultural experiences in the US, but collaborates with Asian countries such as Thailand and China as well to enable employees to get a taste of what work is like in foreign countries. However, this exchange also provides them with cultural awareness that will benefit them during the rest of their careers in the packaging community which is becoming more and more global. Are you interested in cultural awareness training? We provide a range of bespoke cultural awareness course built and delivered around your company's specific needs. Why not have a look at some of our cross cultural courses? Is Anglo-Indian culture fading into oblivion?